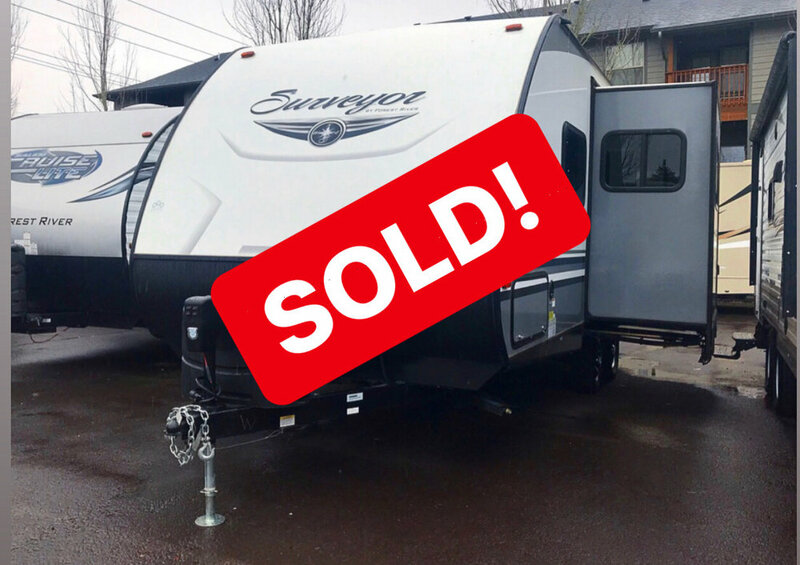 Beautiful new, never been titled, 2018 Surveyor! A light, compact trailer that features a slide out, 15' electric awning, electric tongue jack, murphy bed, dinette, microwave, stove top, oven, Furion sound system and full-size rear bath. Unloaded weight is 4601 lbs with a cargo carrying capacity of 2879 lbs.